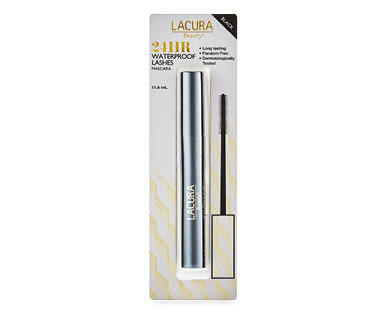 LACURA® Beauty Waterproof Mascara is formulated with beeswax and panthenol to help separate lashes, creating the perfect curl. Smudge and tear proof, your lashes will appear thick and full all day. 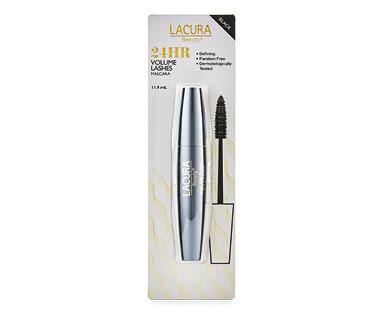 LACURA® Beauty Volume Mascara is formulated to be long lasting, giving your lashes a full and thick appearance all day long. It contains beeswax and silk extracts to help coat them perfectly without clumping. The Result: Maximum Volume, Perfect Curl.